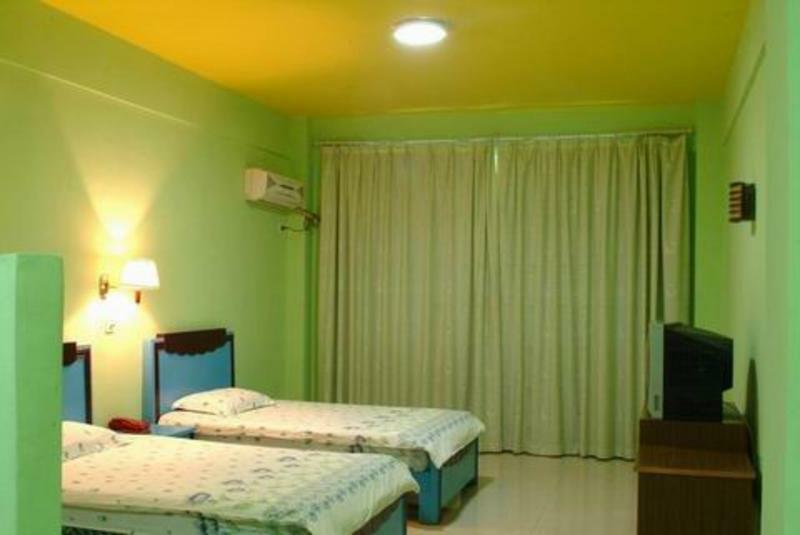 SongTaoGe Inn is located beside Sanya West River in downtown Sanya , with excellent location and convenience for traveller. Within walking distance, you can get local seafood restaurants, KFC, McDonald's, lots of entertainment centres,pop bars, government offices and supermarkets. You can easily reach central bus station, air-ticket and train ticket centre as well. We are a family inn that built independently, with lounge, kitchen on ground floor, and four kinds of rooms on 2nd to 5th floor. We aim to provide our guests a clean,quiet,comfortable place to relax. An A-Class Hostel in Sanya! From airport: If taking bus,get off at Sanya bus station & Mcdonald's stop.Getting off,please turn right and walk a distance of about 100 meters to the cross.Cross the street facing KFC and keep going straight ahead.Wenming Road is two blocks away,200 meters from KFC.Turn right at the corner of Wenming Road.Songtaoge Inn is only 60meters away from the corner,on the right -hand side.Or about RMB50 for taking a taxi. From Sanya bus station: Turn left at the station's front exit. Walk the way mentioned above. From Sanya train station: Take the No.4 bus and get off at Sanya People's Hospital stop.Please turn left and the above mentioned cross is just 100 merters away from the stop.Or RMB30 for taking a taxi.